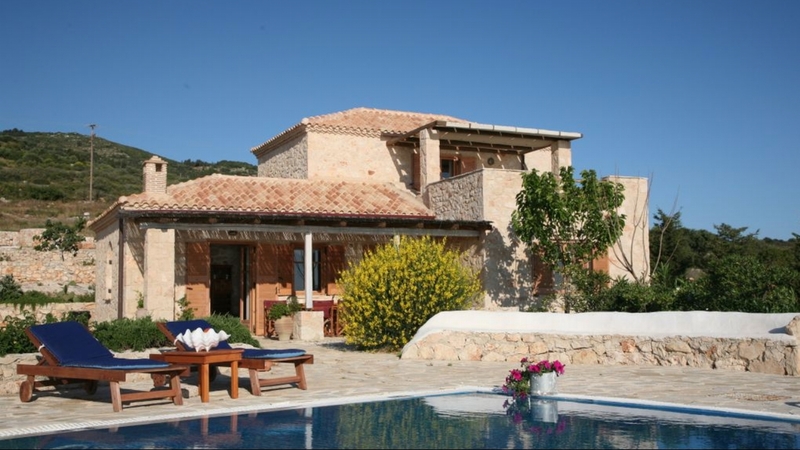 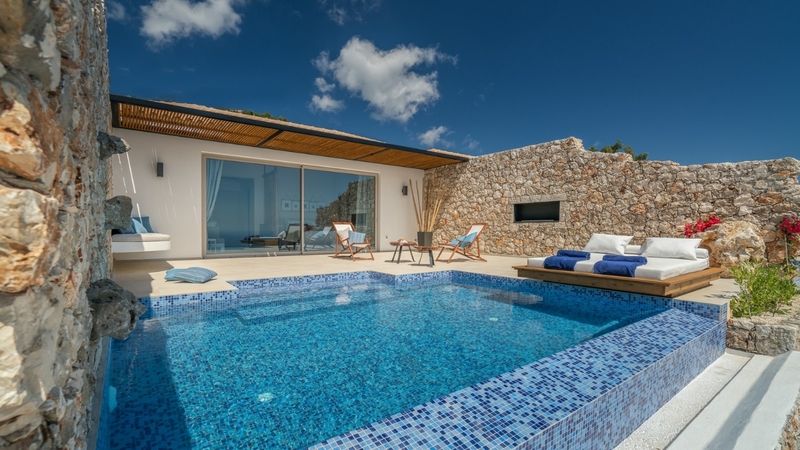 This holiday villa is unique as it rests directly above the golden sands of Amoudi beach on the island of Zakynthos. 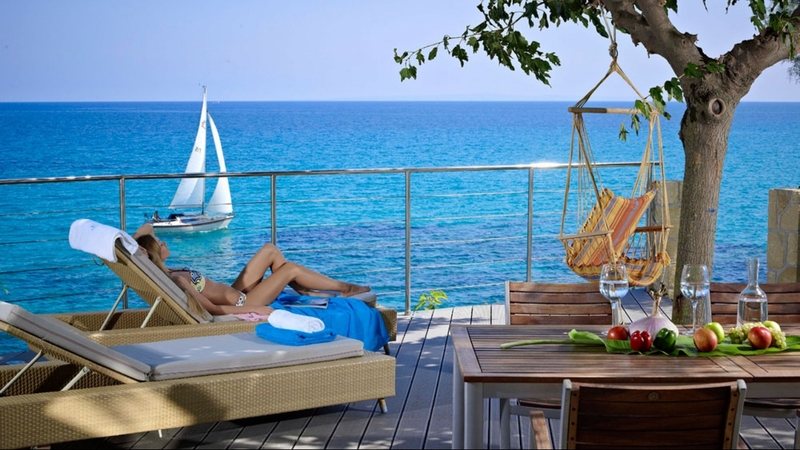 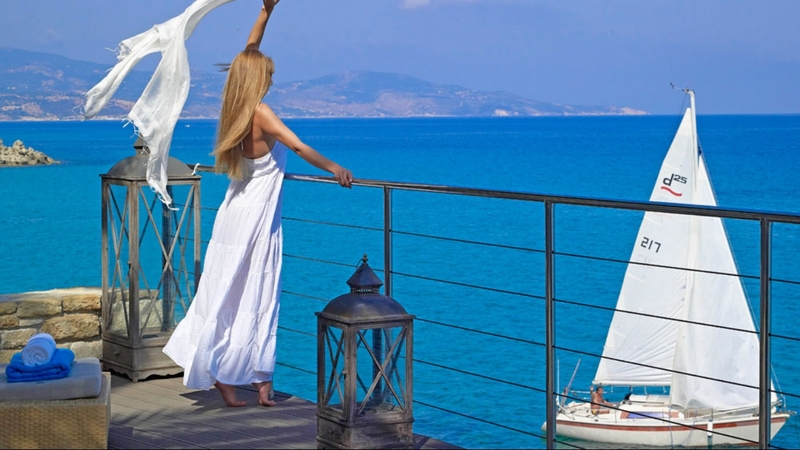 Lulled by the sea breeze and waves, relax in peaceful and beautiful surroundings. 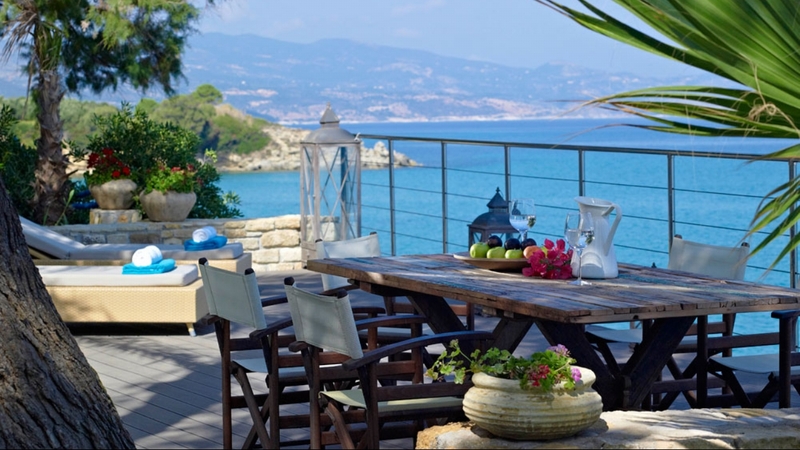 For a coastal cool holiday rental, this is the perfect choice. 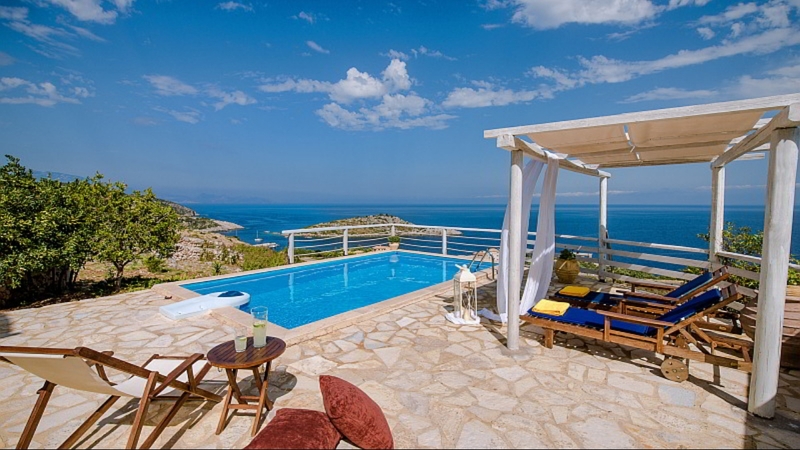 Lying just above Amoudi Beach, Villa Margarita occupies a spectacular position with breathtaking views over the bay towards the neighbouring island of Kefallonia. 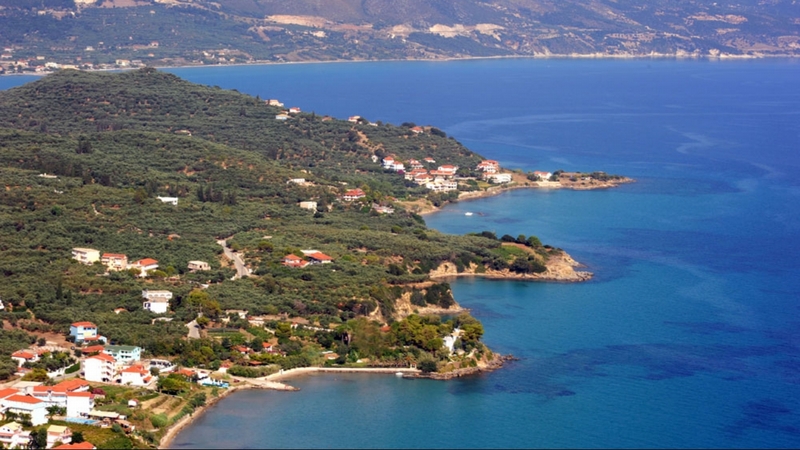 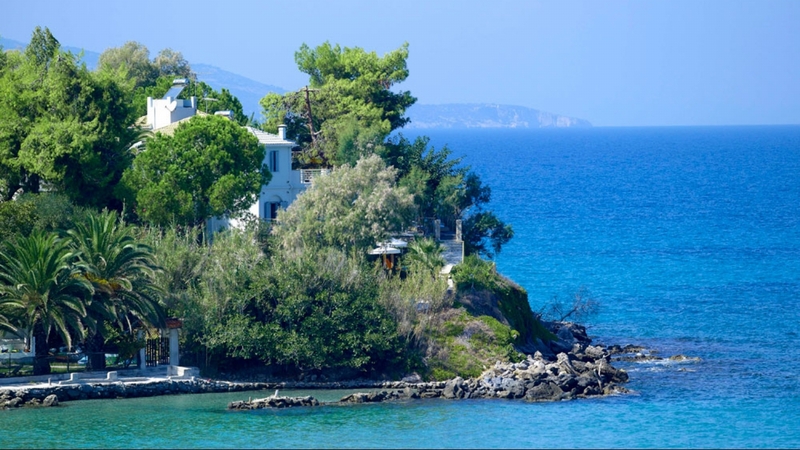 Villa Margarita is located in one of the most peaceful and relaxing settings on the island - the seashore is just below the villa and at night, the cooling sea breeze and the lapping of the waves will gently lull you to sleep. 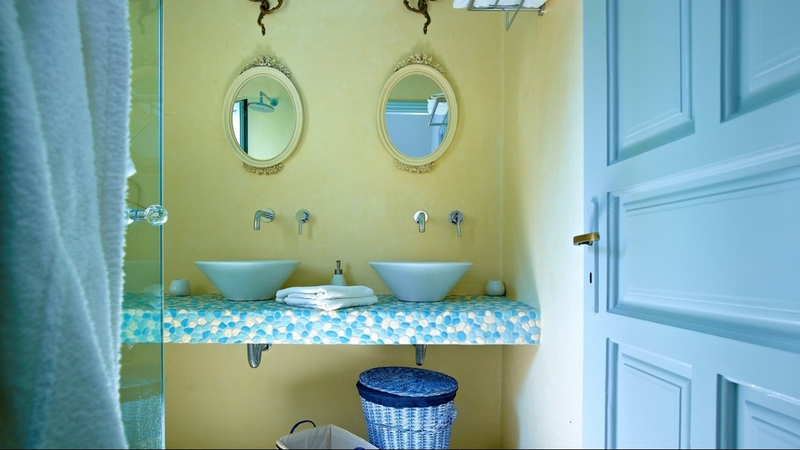 On the mezzanine level is a separate double bedroom and bathroom. 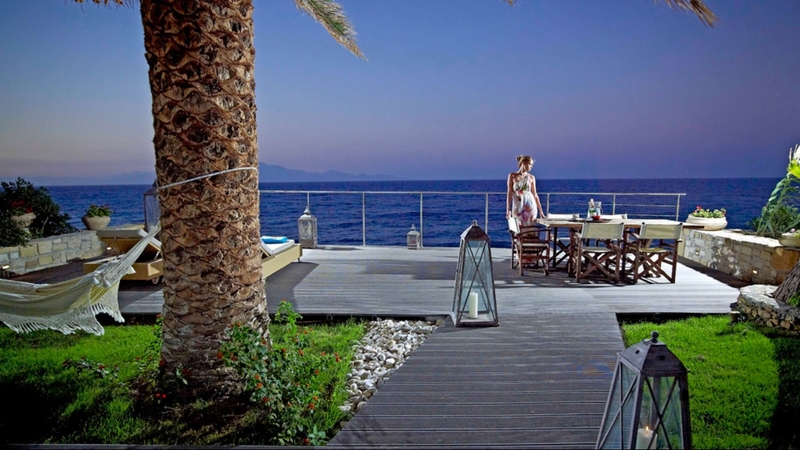 On the upper floor, there is a second double bedroom with balcony, and a second bathroom. 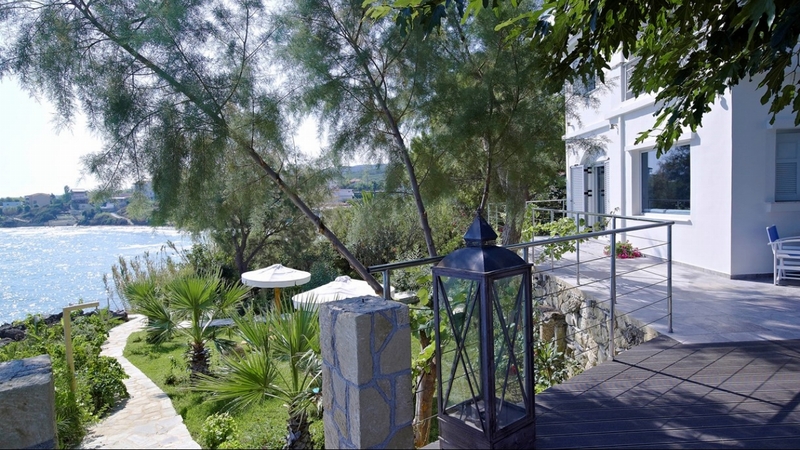 Villa Margarita is on two levels. 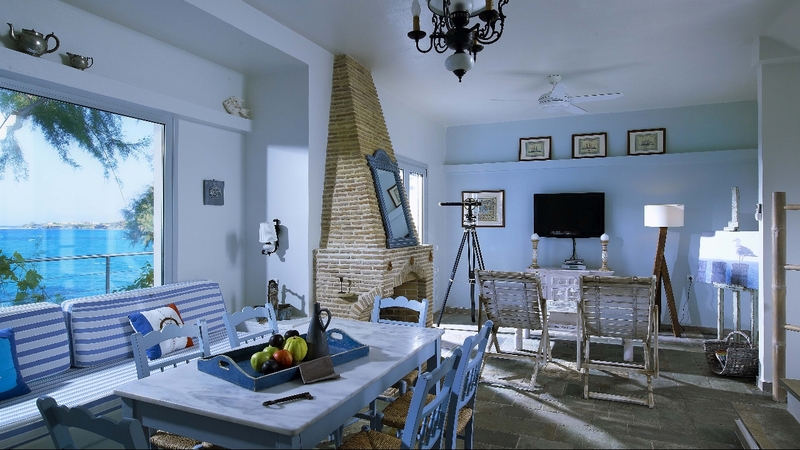 It is beautifully furnished throughout in traditional Zakynthian style. 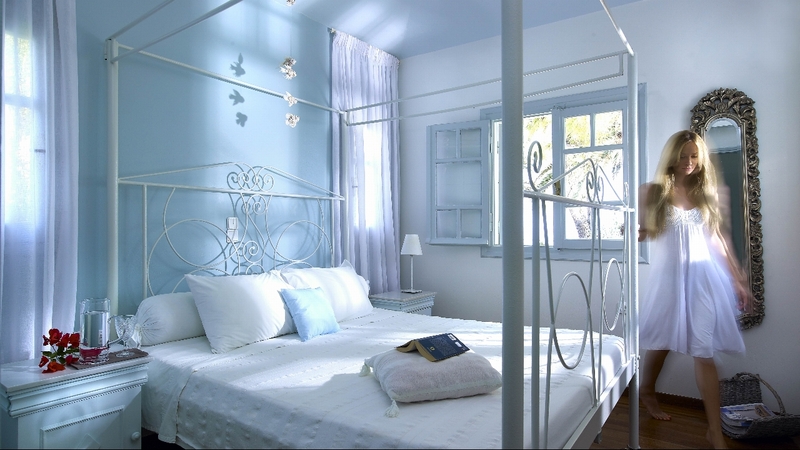 The ground floor has a large living room with two comfortable single divans with orthopaedic mattresses for extra sleeping arrangements. 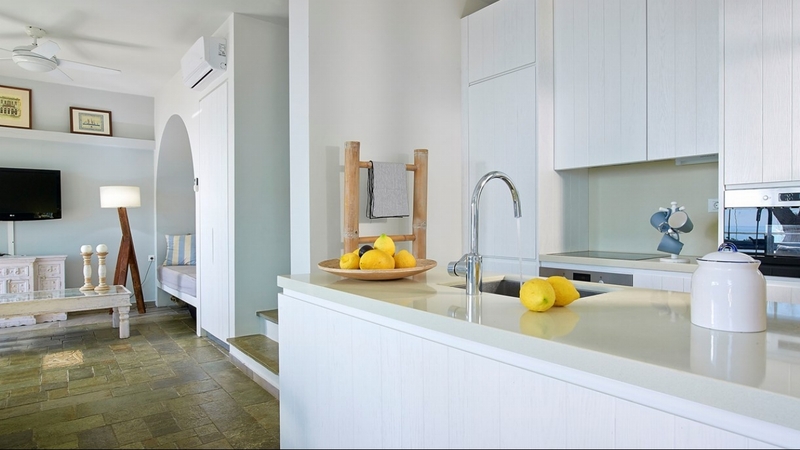 There is also a fully equipped kitchen. 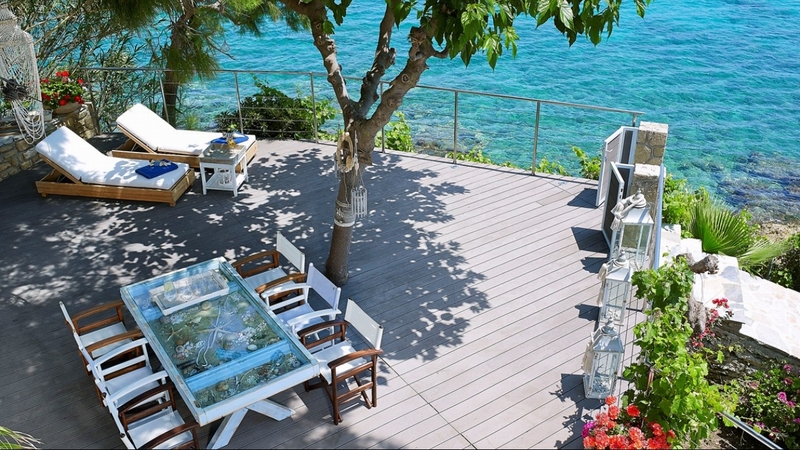 Outside, there is a large wooden deck terrace which is literally perched above the sea as well as a smaller kitchen patio. 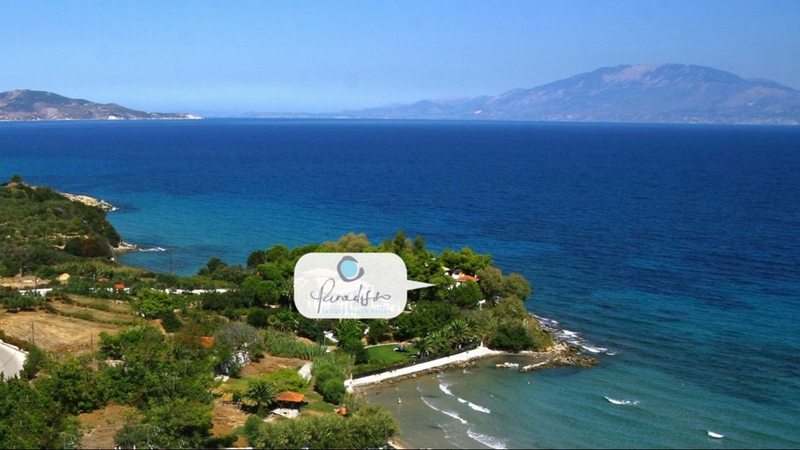 The villa is surrounded by lushly planted gardens and a little gate leads you down a private path to the beach (30 metres).